The Ethical Fashion Forum wants to “do fashion better.” To achieve that, the London-based industry body is shoring up its arsenal of tools and services to help fashion professionals and businesses boost their sustainable and ethical profiles. 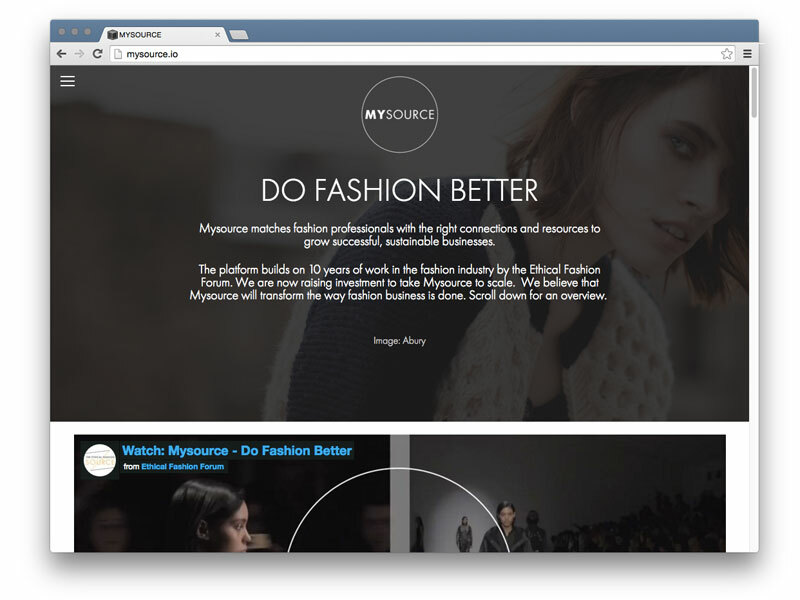 The rebranded “Mysource”, which Ethical Fashion Forum founder Tamsin Lejeune describes as the organization’s “next phase,” will build on the current “Source” platform. One major improvement? A Match.com-style algorithm to pair users with people and resources best-suited to their needs, “so that fabric, manufacturer, market report, line sheet template, or business connection you were looking for will pop up straight away,” Lejeune explained. Mysource will also rank users according to an “integrated benchmarking system” that includes social, environmental, and commercial criteria. Lejeune says she wants Mysource to do for sourcing what “LinkedIn has done for recruitment,” while promoting best practices in supply-chain innovation. The Ethical Fashion Forum wants to "do fashion better." To achieve that, the London-based industry body is shoring up its arsenal of tools and services to help fashion professionals and businesses boost their sustainable and ethical profiles. The rebranded "Mysource", which Ethical Fashion Forum founder Tamsin Lejeune describes as the organization's "next phase," will build on the current "Source" platform. One major improvement? A Match.com-style algorithm to pair users with people and resources best-suited to their needs, "so that fabric, manufacturer, market report, line sheet template, or business connection you were looking for will pop up straight away," Lejeune explained.